The Hydrant Sock is a tool created to allow operators to flush hydrants at high velocity without fire hoses which reduce C factors. It has been made easy to use by just zipping it on. It allows flushing without damage to public or private property. By eliminating the cleanup crew the Hydrant Sock pays for itself in no time. 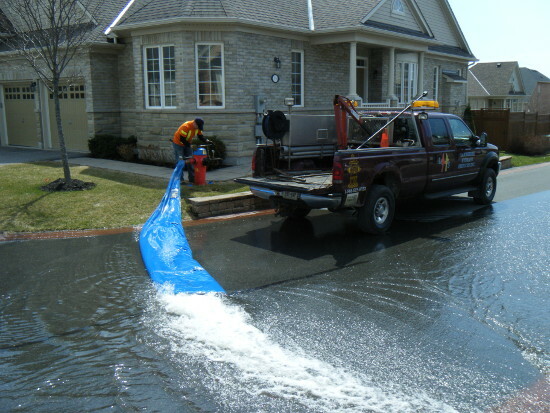 Using a gate valve, your diffuser, and a Hydrant Sock you can safely flush in any location. 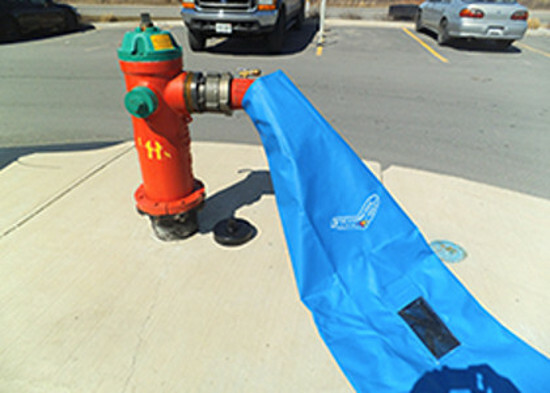 Hand grips on either side of the Hydrant Sock make it easy to redirect the flow of water or to stake it on a slope. © 2019 LAKESHORE HYDRANT SERVICES INC.